1. KISS - The band have been featured in comic books ever since they appeared in Marvel's Howard the Duck #12 in 1977. Since then, the group has went on to be featured in numerous comics. 2. 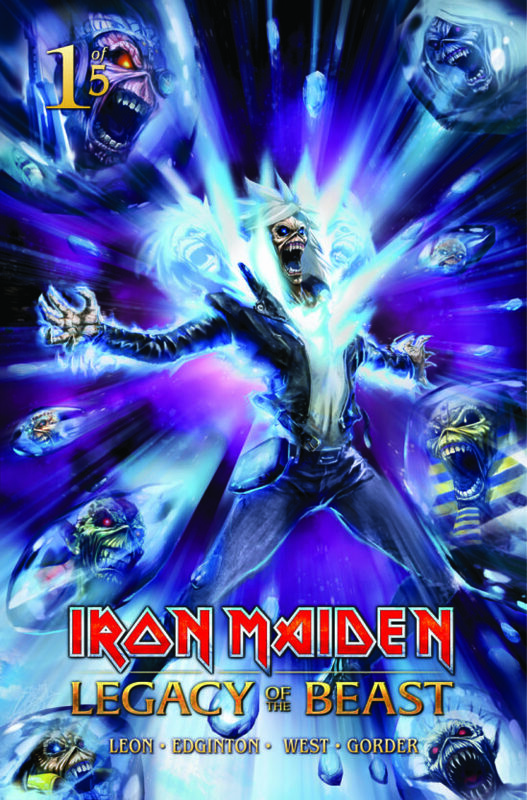 Iron Maiden - The group recently made their way into the comic world with their iconic mascot Eddie set to star in a new five-part comic book series published by “Heavy Metal” magazine. Those will be released over the next several months. 3. Slayer - A three-part comic series based on the band’s “Repentless” music videos was recently created. 4. Stone Sour - Back when the band released their double concept album "House Of Gold & Bones", Corey Taylor wrote a four-part series based on the effort's concept. 5. GWAR - Earlier this year, the band revealed that they would be breaking into the world of comics with their "Orgasmageddon" series. 6. Butcher Babies - The band's own Carla Harvey created a comic based on the group.